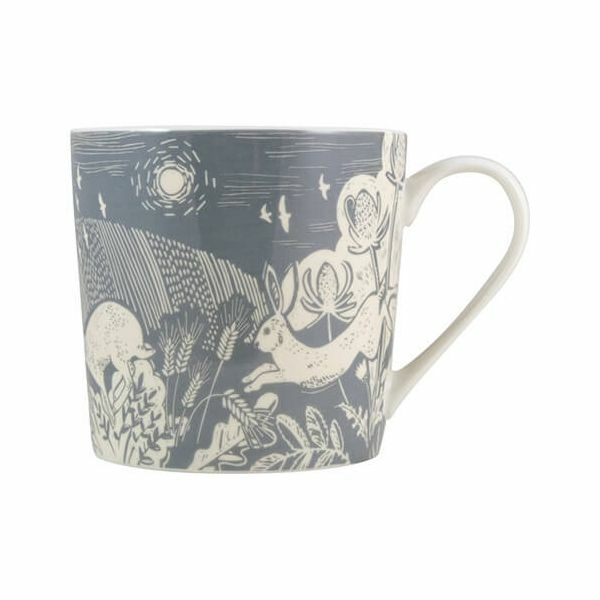 The Artisan Hare Blue / Grey mug is made from fine bone china and hand crafted for this artisan collection. The beautiful hare design features illustrations based on the british countryside. The mug is perfect for serving tea and coffee to friends and family and looks equally stunning on display. Part of a collection this mug makes a lovely gift. Suitable for use in the microwave and is also dishwasher safe. Dimensions 5 x 9.5cm, 300ml capacity. Easy ordering and delivery, very happy with my purchase, would definitely recommend and use again.